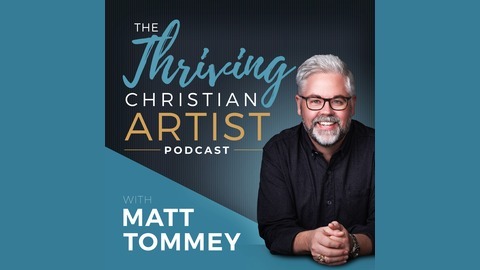 The official podcast of Matt Tommey Mentoring & The Worship Studio, hosted by internationally recognized artist, speaker, author and mentor Matt Tommey. The Thriving Christian Artist Podcast is for artists who want to bust through roadblocks that have held them back for years, create the art they love and live the life the they know God created them to live as an artist in His Kingdom. 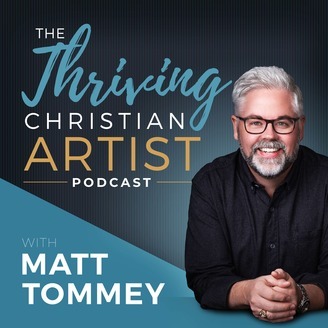 In this episode of the Thriving Christian Artist podcast, I talk with Painter and Teacher, Bryn Gillette. Bryn shares his journey of overcoming and finding his identity as both a Kingdom Artist and a High School Art Teacher. The7-day art challenge might be over, but you can still participate on your own. All you need to do is click here to download your own copy of my free devotional challenge guide. As a bonus, when you sign up for your guide, you’ll get reminders for my Free Facebook Workshop Series that kicks off today – April 16th, 2019. To connect with Matt, visit: http://www.MattTommeyMentoring.com and @matttommey on Facebook and Instagram.